Enhance your living environment by adding convenience with motorized curtains. With motorization making new waves in indoor décor, curtains are no more an exception. Motorized curtains offer maximized product functionality and also provide you with the desired flexibility. This combination is just not possible when you opt for a manual system. The environment you create at your home or workplace plays a vital role in your day-to-day ease and comfort. Motorization of your curtains will add convenience and a dash of sophistication to your surroundings. At Blind Concepts, we offer a wide array of functional and aesthetic motorized curtains. Thermal comfort, safety, and convenience are the major benefits of choosing our motorized curtains. Right from sheer curtains online and blockout curtains online to kitchen curtains online and custom-made curtains online, at Blind Concepts, we got everything under one roof for you. Our Somfy automated curtains will help you to enhance your lifestyle and bring your home to life with a simple touch. With advancements in home automation becoming smarter and intuitive, at Blind Concepts, we have left no stone unturned to present you with superior products. Our motorized curtains come with a remote control to make the operation of your curtains easy. The remote will enable you to close or open your curtains from any part of your home with the click of a button. We can also help you to sync all the curtains in your home to a single remote for added convenience. With us, you can find the best motorized curtains online in Australia. These curtains can also be designed to fit numerous sizes and styles of windows. Besides, they can also be altered or bent to fit any type of window. You will also have the option to choose what part of the curtain has to be motorized. For instance, you can decide the point from which you would prefer to draw your curtains. Our professionals will then analyze the possibilities and then design a customized motorization plan that fits your needs. Besides, if you already have curtains and would want to motorise them, we can help you with that as well. We understand that even small flaws in motorization may cause major inconvenience and unanticipated accidents. For this reason all our motorized curtains are designed to meet the Australian safety standards. We also offer prompt and efficient curtain service for most of the curtain applications. Once you select the curtain fabric we will take the measurements and then manufacture it to precisely cater to your requirements. We provide motorized options for a comprehensive range of applications. To provide your space with a classic feel and style, we stock an exhaustive range of curtain fabrics, curtain colours, and hanging solutions. We also provide you with the ease of curtain motorization. Once you choose our products, you can say goodbye to the struggle of dealing with manual operations or hard-to-operate handles. We have been successfully providing numerous clients Australia wide with our prompt and efficient solutions. Whatever your requirements are, our professionals will closely work with you to understand your requirements and serve you specifically. 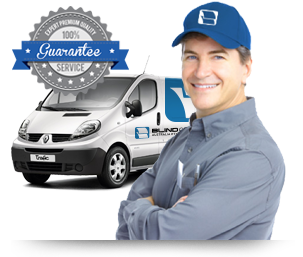 If you are ready to get started just call us on 03 9720 1778 and get a free quote today. We look forward to serve you.